A beautiful smile is a wonderful asset, both personally and professionally at any age. It radiates health, personality, happiness, and warmth. Not being satisfied with your own smile is a common thing, and you should know that you are not alone. A recent study has shown that about 80 percent of us are dissatisfied with our smiles regardless of the reason; even the tiniest one can make us feel uncomfortable with our smile. It is actually quite normal for your smile to fade over time, as teeth age, wear and discolour. Small chips and cracks accumulate and old fillings become unattractive. There are many other reasons why cosmetic dentistry is so important and many more about why going to professional cosmetic dentists is important for your health and smile. In fact, cosmetic dentists are the true artists of the dental profession that can give yourself the opportunity to feel confident again by improving your smile. Nowadays, there are many options for enhancing your smile. Maybe you have all of your teeth, but one/some of them have a large chip or crack, if that's the case, tooth bonding might be your answer. 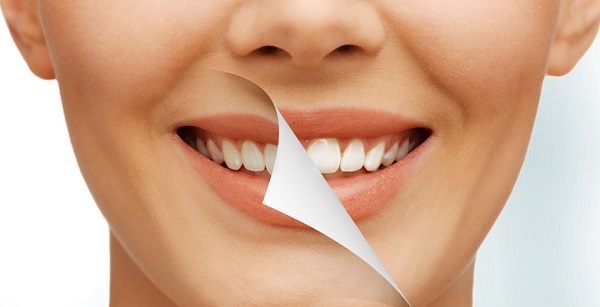 If you have some minor irregularities and staining, tooth reshaping and whitening may do the trick. More dramatic changes may incorporate orthodontics or porcelain veneers as part of the solution. Any of these teeth conditions can be “cured”, only if you turn to the hands of a professional cosmetic dentist. Communication between you and your dentist is an important part of this process. Your cosmetic dentist will explain your treatment options, estimate how long it will take and of course, what it will cost. Regardless of which procedure you choose, changing your smile is bound to change your life. It is a transformation that will open up all kinds of new possibilities that you can only truly realize when you share your dazzling new smile with the world. Cosmetic Bonding – A procedure that is designed to repair small chips or cracks by covering the tooth surface with a composite material. Crowns and Bridges – This dental procedure is done when there is a need for a replacement of large amounts of lost tooth structure or missing teeth. Teeth Whitening – This is the ideal way to brighten discoloured or faded smile. Porcelain Veneers – A procedure that is done in situations when is needed teeth reshaping or a repair of large cracks or chips. Invisalign – Even though orthodontic, invisalign is also considered as a cosmetic dentistry procedure designed for strengthening the teeth for better appearance.